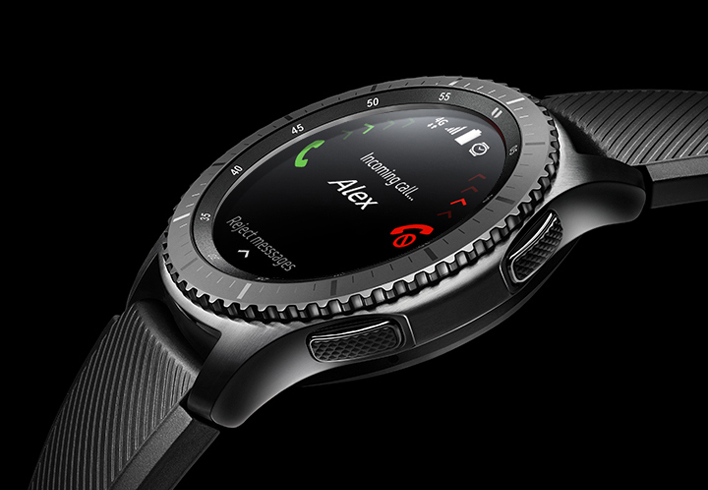 Samsung’s latest Gear S3 Frontier smartphone is getting more powerful and independent as the Korean company releases an LTE version. This implies that a user can make and receive phone calls and messages without having to rely on the accompanying smartphone for the communication. Hence, leave the phone behind and just wear the smartphone when you’re on the run. The two Samsung Gear S3 models released last year have been well-received by the market. It’s a smart move by Samsung to add an LTE variant to the sporty Samsung Gear S3 Frontier watch. Samsung Gear S3 Frontier LTE communicates using an SIM card from Gemalto. The popularity and growth of IoT has generated an explosion of embedded SIM cards in a broad range of devices. Gemalto is one of the leaders in this space and partners with tech giants like Apple and Samsung. The embedded SIM used by Samsung Gear S3 Frontier LTE is of eSIM type. The price in overseas markets is about $NZ675 inclusive of GST. Hence, expect local telcos to charge something similar if and when the LTE model arrives in New Zealand. The standard, non-LTE model currently retails as low as $599. It’s currently only available in the US and in some Asian markets. Hopefully at least one of Vodafone, Spark, and 2 Degrees decides to promote this very adapt smartwatch. Vodafone apparently will provide support for eSIM in the first half of 2017. Hence, there won’t be any technological barriers in the near future.